The Philippines uses the Philippine passport as the primary source of identification. It is one of the most reliable identification documents that can be used not only in the country but also anywhere else in the world. The passport can be obtained by applying at the Philippine Embassy or by visiting a consulate which is nearest to one’s place. The whole process usually takes around six weeks. 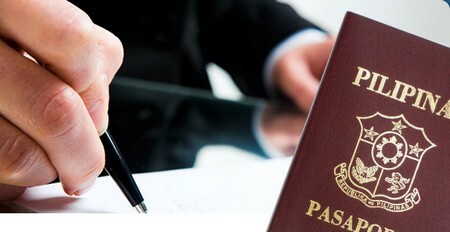 One should meet general requirements when applying for a passport and depending on who is applying, certain specific requirements should also be met. Filipino children are not all spared from this rigorous process, yet prior knowledge of the passport requirements for children can prove to be very useful and can help save time and effort in the process. Filipino applicants of all ages are required to submit an authenticated Birth Certificate, and another Identification Document (such as voter’s ID/affidavit, driver’s license, NBI clearance, or a valid employment ID). The applicant should also prepare three (3) copies of a Colored Photo (4.5 cm x 3.5 cm) in plain white background and with the applicant wearing decent collared attire. Lastly the applicant should appear at the office in person. In the case of minors or children, either of the parents should accompany the child, and he or she should have a Passport and other Identification Documents. If both parents are away, the person applying in the minor’s behalf is required to submit a Special Power of Attorney which is authenticated by the Consulate General or the Philippine Embassy. The parents or the guardian of adopted children is required to submit an Authenticated Copy and Photocopy of the Court Order on Adoption, specifically the dispositive portion. Moreover, an Authenticated copy of the Birth Certificate with amendments should also be provided. An illegitimate child should appear in person and needs to bring his or her mother’s written consent, along with the other standard requirements. Legitimated children are tasked to submit an Authenticated Birth Certificate with the child’s amended surname duly annotated. Copies of the Birth Certificate of the parents are also required. A child born outside the Philippines is required to submit the Original copy of the Birth Certificate, written in English, and it should be duly authenticated by the Foreign Affairs Ministry of the country where it was issued. Original and photocopies of the passports of the parents should also be submitted, with Marriage Certificate issued by the NSO or the Foreign Affairs Ministry of the country where they were married, if married abroad. Furthermore, three (3) typewritten copies of the Report of Birth are also required. i am american citezen. my wife is philippina and has perment resident card. we live in u.s. we wish to patition her 2 illgitimat minor children to live in u.s. can we secure a philippin passport for them without going to the philippines? how much would it cost?